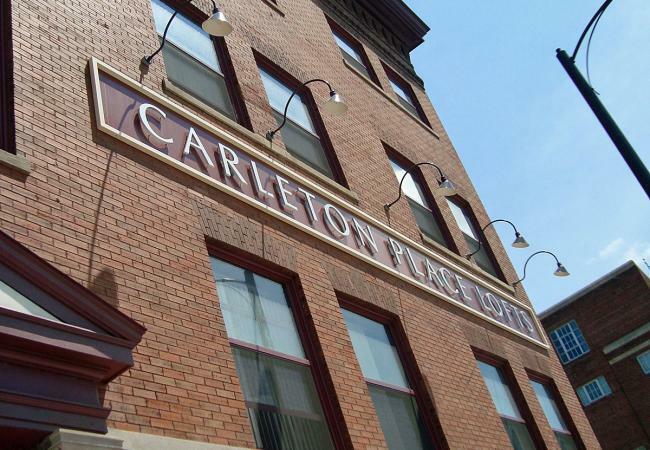 The Carleton Place Non-Profit Housing Corporation is fighting a $2,805 repair bill from an elevator company. On Saturday, Feb. 12, Elizabeth Court suffered a power outage, leaving residents at half power. While a resident’s television set might work, lights in the washroom did not. Workers from Hydro One showed up shortly afterwards to do repair work, and shut off all power in the building. After the power was restored, the elevator and a boiler were not functional. While the boiler was later brought back to working condition, problems persisted with the elevator. Eventually, a repairman from the Otis Elevator Company came to do some repair work. The elevator is now operational. “We have a bill here for an elevator that was working just fine before the power went out,” said chairman Orm Giles, chairman of the corporation, at the annual general meeting held at Elizabeth Court, 105 Elizabeth St., on Feb. 28. “Don’t pay the bill,” advised Giles to the building manager, Janet Ferguson. “Take it up with Hydro One.